Yesterday, our new buddy Cole Taylor coined the term “Georgia Country” when describing his brand of music. That comment got me thinking about the influence Georgia is having on country right now. There have certainly been artists from Georgia in the past. But today, there are some huge stars from Georgia and some new artists are looking to make an impact as well. I thought we could take a look at how this Georgia influence came to be and what it has in store for the country music scene. The Georgia influence in country music is not new. The Nashville Sound came to be as a result of Georgia native Chet Akins. There have always been influences of the South in country music and Georgia is right down there in that part of the country. It’s just interesting to see that today the influence seems to be taking over the radio waves. I think the sound is good. I think it’s cool. Let’s give a little shout out to Georgia. The first movement in country music in more recent history was probably in the early and mid-’90s. Alan Jackson is one of the most well known country artists from Georgia. He had his first charting song back in 1989 as part of the Class of ’89. Alan continued his career through the ’90s and ’00s as one of country’s biggest stars. Even today he’s still having hits in what has really turned out to be a George Strait-like career. Alan is with a new label these days and it seems like he’s still hungry for more hits. Alan liked to include Georgia in the lyrics of his songs. A popular tune would be Home where Alan sings about that small town down in Georgia. Great artist and still one of the best ever from the state. Some people don’t remember Travis Tritt as much as his other peers from the Class of ’89. Tritt was a huge star in the ’90s, though, and even had a big time comeback around the turn of the century. Label misfortune and other happenings have caused him to move out of the spotlight some in reason years, but his brand of Georgia Country still lives. You can turn on the radio almost every day and hear a great Travis Tritt song. They have a different kind of country club down there in Georgia I hear. There are probably many other artists to include here in the past history of Georgia, but I thought it was most relevant to include the Peach Picker himself Rhett Akins. Back in the mid’90s Rhett had himself a two or three year run where he was one of the hottest new acts on the scene. He had a number one hit and another number three hit that still get tons of play on radio. In his later years Rhett would become one of the most sought after songwriters in Nashville and really has a huge part in shaping the current scene in country with his songwriting. We’ll talk about this more down the line. 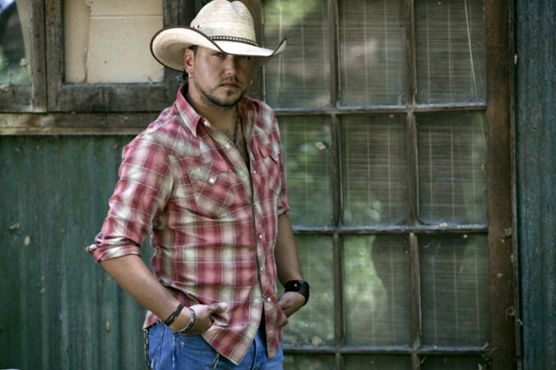 Jason Aldean is perhaps the biggest star in country music. His last album should have been album of the year. He’s had five singles from it and is soon moving on to his next record, which is only a shame in the fact that there are probably 3 to 4 more songs off My Kinda Party that could be hits. Jason has never shied away from his Georgia roots. He is a proud Georgia Bulldog fan. He loves watching the football games and loves his home state. Jason is one of the biggest reasons Georgia Country is ruling the country music scene today. Jason even brings in songwriters from his home state including Brantley Gilbert and Colt Ford. Jason is rocking country right now and even including a little rap as well. His duet with fellow Georgian Ludacris became a huge crossover hit just last year. Luke Bryan is one of the fastest rising country superstars. He’s coming with the hits nonstop right now and is really ascending to the same status as his good buddy and fellow Georgian, Jason Aldean. It can’t be long before Luke is right there in superstar headliner status. There is no doubt when you hear Luke Bryan that he’s from the South. This good southern guy brings the charm and the fun to country. He’s part of the tidal wave of Georgia influence on the genre. Billy Currington hasn’t had a hit for a few months. That’s an eternity in this business, but there is no doubt Billy has been one of the biggest influences over the last five years in country music. His good old boy sound has brought some great songs to the genre including a great song written by fellow Georgian Luke Bryan. These three boys are the biggest things in country right now. They’re carrying the torch for the Georgia Country movement. I’m a huge Brantley Gilbert fan right now. He first found success writing songs for Jason Aldean that became huge hits including My Kinda Party and a co-write with Colt Ford on Dirt Road Anthem. That’s some impressive songwriting chops and now Brantley has two huge hits of his own and there is really no saying just how high he can go in country. Brantley’s music is at the intersection of country and hard rock. He brings in elements of a rock festival that you’ll see in the rural parts of the country. There is an audience out there looking for this kind of music and Brantley is really the only one willing to bring it to them. And he’s even having success on the regular country charts. It’s a big deal and this guy is awesome. Talk about changing the landscape. The thing with Georgia Country is that it’s really diversified across the intersections of genres. You have the country rock element with Jason Aldean. You have the Southern Country intersection with Luke Bryan and Billy Currington. There is also the hard rock and country intersection with Brantley Gilbert. With Colt Ford you really have the intersection of rap and country. It’s been about five years since Colt first emerged on the scene. People thought he was crazy back then to think country and rap could marry, but Colt knew this is what the kids were listening to in the parking lots at school. They were sitting on their car hoods and on the tailgates. They were either playing Big & Rich or Ludacris. Colt blended the two and now he’s really one of the biggest success stories in country music over the last few years. One of the artists I’m most excited about for 2012 is Thomas Rhett. His debut single is already in the top 40 on the charts. It’s great to see this kid doing well especially since he has to follow in the shadow of his successful dad, Rhett Akins. Now, we mentioned Rhett earlier and it’s really necessary to mention again how much Rhett is having an influence on Georgia Country right now. We have the artists that are doing well, but just about every other song on the radio is written by a Georgia songwriter these days. Thomas Rhett, though, is bringing something a little different to country. He’s got this cool attitude and demeanor about him. I think he could be a star in the making along the lines of Jason Aldean and Luke Bryan. There’s something ’bout a truck and there’s something ’bout Georgia Country. Kip Moore has a huge hit on the charts right now. His debut album is hitting the shelves next week and fans are loving what this guy is bringing to country. He’s a star in the making and is doing his home state proud by adding a little something different to the Georgia movement.